This year we’ve featured some great games from Jax Ltd. First there was Sequence Dice, one of our first Thrift Treasures. Then we told you about both Kazink! and Polygon. This week brings another great thrift store find from the same company: Doodle Dice. As kids we all played Yahtzee. Or maybe Triple Yahtzee. They were a lot of fun until you had to roll that dreaded 5-of-a-kind Yahtzee. Whether you got it or not pretty much determined who won and who lost. Luck had to be with you. The probability of getting a Yahtzee on a turn is exactly 4.6029%. I’ll spare you the advanced math, but if you’re interested there’s a great explanation over at the DataGenetics blog. You might also remember our review of Sharp Shooters, where the combinations that you needed to roll changed every round. Well, Doodle Dice takes that premise one step further! No longer are there numbers at all, and what you need to roll changes with every turn! Your goal is to collect cards of each of the six colors by completing the design depicted on one of the card in the pool. Your turn is exactly like Yahtzee (except with six dice). You roll and then decide which to keep and roll two more times to complete your doodle. You can only possess one of each card color and the color of the card dictates the difficulty of the puzzle. Orange is easiest with only one die needed, purple is the hardest and requires all six dice to line up perfectly. Of course, like Yahtzee, the hardest one is usually the last to be completed. With the unique addition of cards, each turn adds a new design to the stack of cards to be completed. Thus, if everyone is stuck on purple, completing one of them gets easier and easier with each turn as more combinations are added. There are also bonus cards you can draw that allow you an extra roll or to force another player to skip a turn. Only need one color to make your set and there isn’t one on the board? No problem, you can steal cards from other players by declaring your intent to try to roll their doodle, and then successfully doing so. Unlike Yahtzee, this adds a bit more strategy to the mix and an interesting ‘gotcha’ among friends and family. Ultimately I lost out to my youngest who rolled a perfect doodle on HER FIRST ROLL! How am I supposed to beat that?! (I couldn’t). 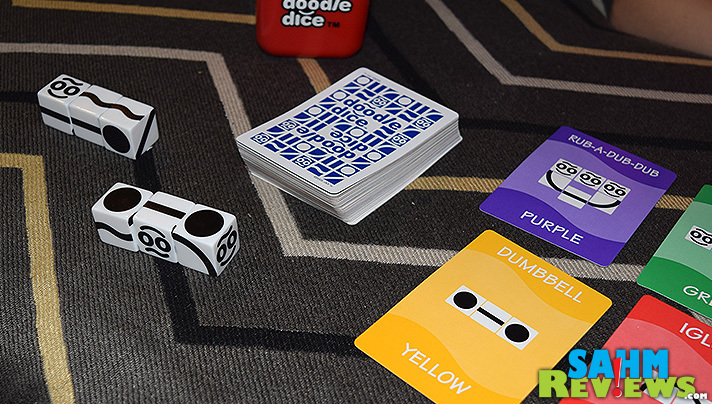 Because no two games are the same, Doodle Dice has a ton of replayability. We’ve already enjoyed it on more than a few occasions and I expect it’ll remain in our game arsenal for a while. Even though we found it for a couple bucks at our local thrift store, this fun game is available new for under $10! 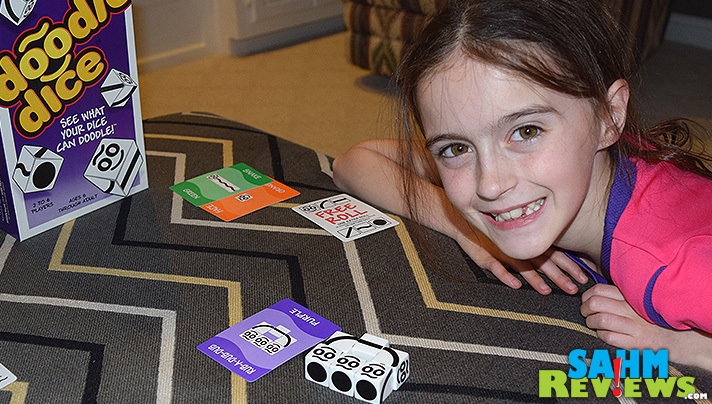 Doodle Dice is designed for two to six players and we found a game typically lasts 20-30 minutes. 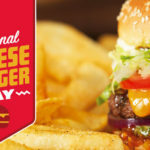 I know I’ve mentioned it before, but it bears repeating. 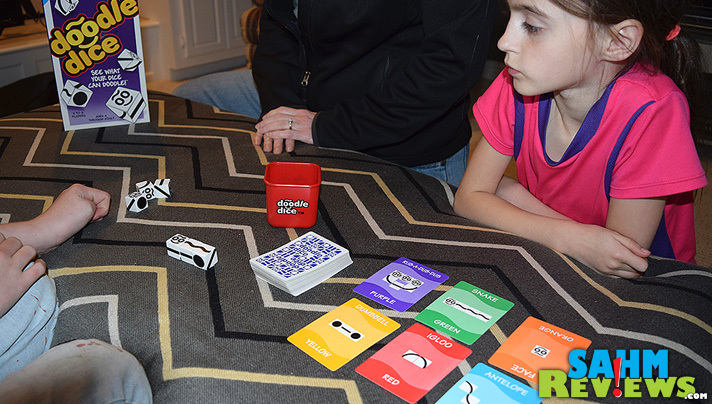 Jax Ltd. has quickly become one of our favorite age-appropriate game makers and you can’t go wrong with almost any of their products. They have a ton to offer on their website and I’m sure would love to hear from you! Tell them you saw another of their games on SahmReviews! What a fun game. 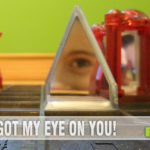 We are a huge gaming family – we love to play games. Games are our favorite rainy day activity. 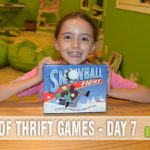 Love having new games to play with my kids! That looks like such a fun game! 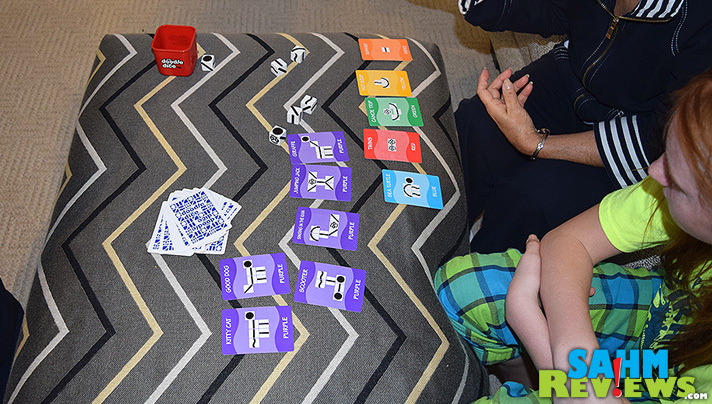 We love games in our family and we always have a blast playing – lots of laughs. This looks like a great game for the whole family. How fun! 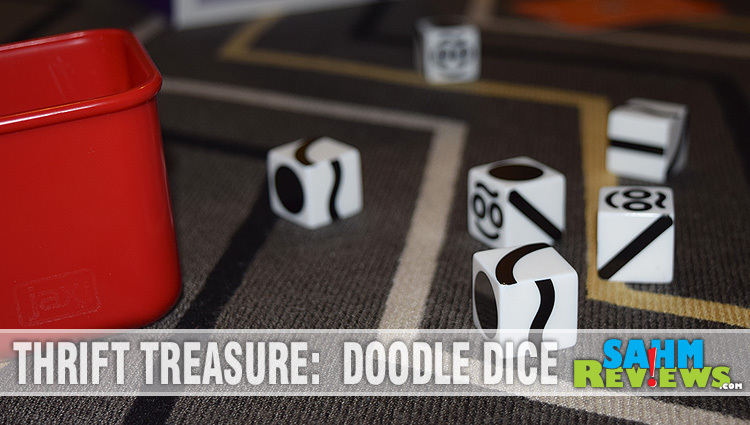 I’ve never heard of Doodle Dice, but it looks like it would be lots of fun especially at a party or on a family game night! Very nice. This looks like it would be a great addition to my family’s game night collection. I love this game idea! Great to play with kids – I’d love to play with my nieces and nephews. Looks like your kids are enjoying it. It also looks like a game I would have to think in… LOL there I go thinking again. What a great website! I love your description of this game. Just wish I could pick it up for my family. Of course the point is that you can find a whole array of fun stuff in a thrift store and this I can pass along. Thanks Scott! This looks like a fun game the whole family would enjoy playing. You know what is so funny. I saw a picture of these dice on Twitter and I thought they looked so cool but there was no link to the post. Just the picture. Thanks so much for the review. 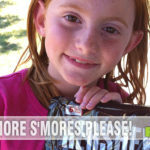 It is very helpful and I have to say, my kids would love these! Never heard of this game before–it would probably drive me wild and I would never give up! That looks like a great game to play! I’m always looking for fun things to do with the kids. Looks like a very fun game to play especially with the kids. That sounds like fun! And it’s great it could be easily brought along on a vacation! This looks like a really fun game. It has great graphics and is very engaging. sounds like an interesting and fun game. i can’t believe it is so inexpensive as well. thanks.